So that’s the basics for the air sweeper. Its a definite game changer, so lets get into how the air sweeper works. You can set the sweeper to any 120 degree angle to defend your base and it is easily rotatable. Now that you know how it works, you need to know how to BEAT it! In my opinion, there are two main strategies you can use to beat the air sweeper. Both aren’t huge changes from standard balloonion, lavaloonion, and mass drags raids. Rage spells are going to be key to beating these things. You need to get your flying units in as FAST as possible to take it out. 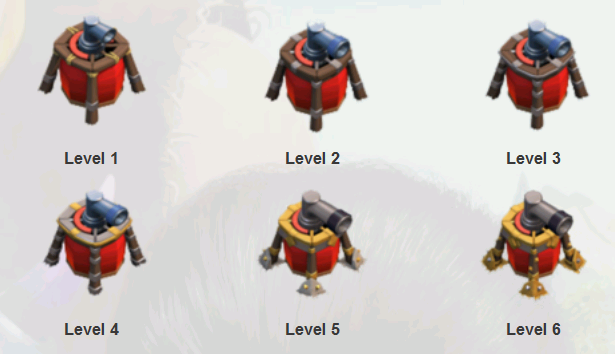 5 rage spells might be a bit tricky for you the beat the entire base, but it should easily be able to take out the air sweeper. Instead you might want to bring 4 for a TH10, 3 for a TH9, and 3 for a TH8. The whole point will to be start your attack in the direction the air sweeper is facing and then rage your troops every time they get pushed back. That way it will seem like they are moving in almost normal motion. This seems like the most logical solution. Just attack from wherever the air sweeper isn’t facing! In fact, this simple solution could work quite well. This way you could use your normal amount of spells as well. Actually, since the air sweeper would blow the troops away from it, it would make a three star much EASIER since the defense would be spreading out your troops once you got past it. So that’s just a summary on the air sweeper in the April update. I hope this helps you learn how to beat them! Make sure to check back here tonight for more April update features! ← May Update 2015 Released Today!